I used to worry about getting older and not being able to do all the things I love - mountaineering, running in the mountains, rock climbing.... . But 'getting older' is a very ambiguous statement really... when is too old? Too old for what? What are the limiting factors - age, fitness, balance, strength...? Can these be maintained, controlled - how easily and how effectively? And maybe if we are 'too old' we don't mind not doing all these things and are quite happy reading a book in front of the fire? And then I met Chris (age 70) and Norma (age 66) who came on a snowshoeing holiday with Undiscovered Mountains last winter. Chris has a dodgy knee (the downsides of getting old) but despite this is a dedicated walker and adventurer! 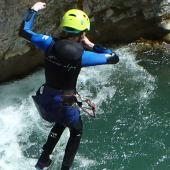 Norma discovered the outdoors in her 40s after the children grew up a bit and hasn’t looked back since! 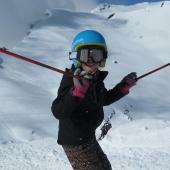 Whilst chatting they decided to have a go at ice climbing for the first time in their lives!! Why? Because the ice was in perfect condition, the guide was available and they thought it might be fun! Ice climbing is much more physical than people think and when you are standing in front of a vertical frozen waterfall, with water flowing underneath it, the temporary state of what you are about to hang off suddenly hits home!! It is not unheard of for people to back out before they have even started! Bernard Guillaume our UIAGM high mountain guide decided to take Chris and Norma to The Cascade des Martins which is 185m high and grade 3 - 4. 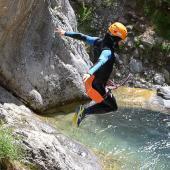 It is situated in the beautiful wild valley of Champoleon and is a fantastic ice climb with challenging moves and wonderful views! 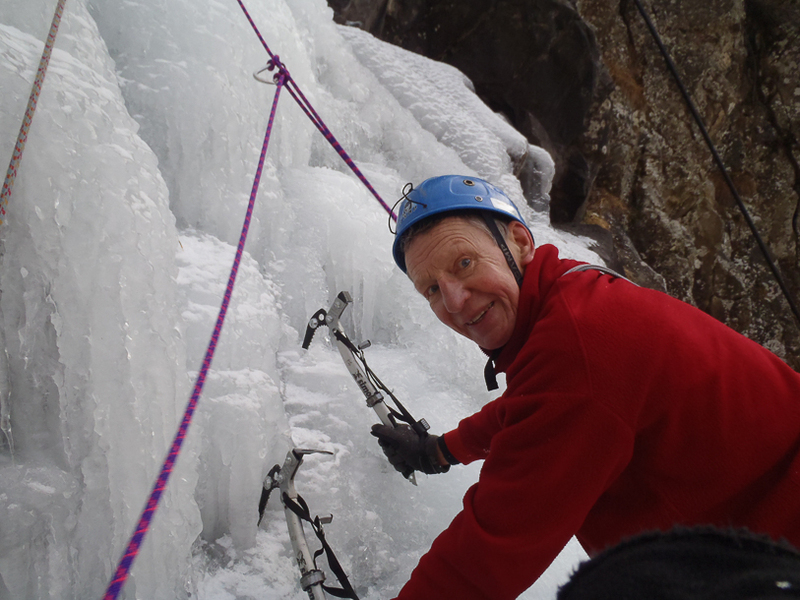 After a slightly wobbly start, Chris and Norma took to ice climbing with a passion! With the stamina, grace and agility of seasoned mountain goats they negotiated 80 metres of ice including one technical grade 4 section which was not easy. I was secretly very pleased that Norma struggled a bit over it – otherwise I would have totally lost face with my attempts!! They were truly an inspiration to anyone wondering what to do with their retirement - life just keeps getting better! 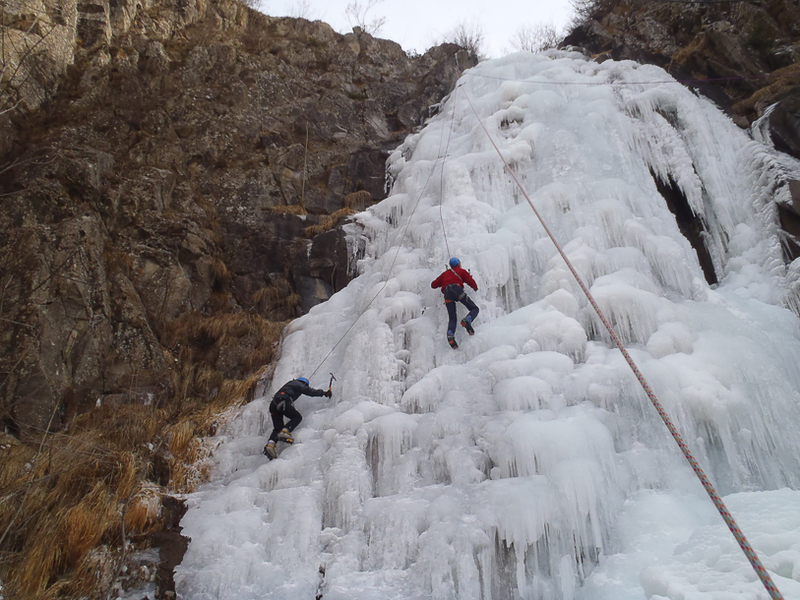 If you would like to try ice climbing please have a look at our ice climbing courses or try it as part of a winter multi activity holiday.